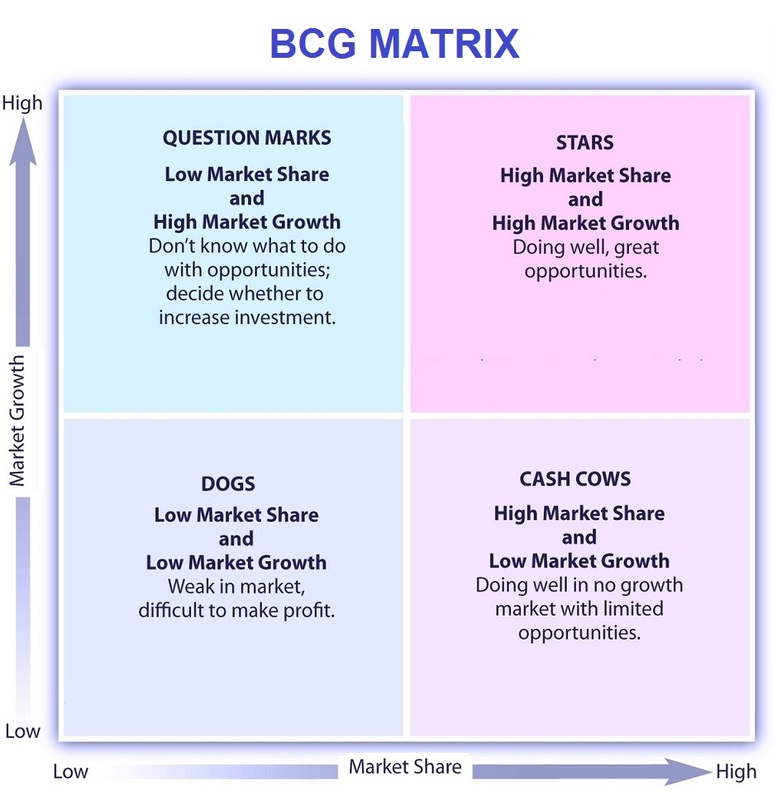 BCG Matrix – BCG Matrix Analysis – Bcg Matrix Framework – Bcg Matrix Business Methodology – Bcg Matrix model categorizes companies and products by the type of market they are in. Matrix has four quadrants divided by the market growth and market share on each of the axis. BCG Matrix - this diagram visually depicts one of the common business frameworks, used by leaders to develop company strategy, tactics, models and approaches in an effort to enhance operations, marketing, develop new products and improve company competitive position..